I’m over halfway finished with Blood and Water, and I’ve been writing like a madwoman cooped up in the attic (bonus points if you get that reference). 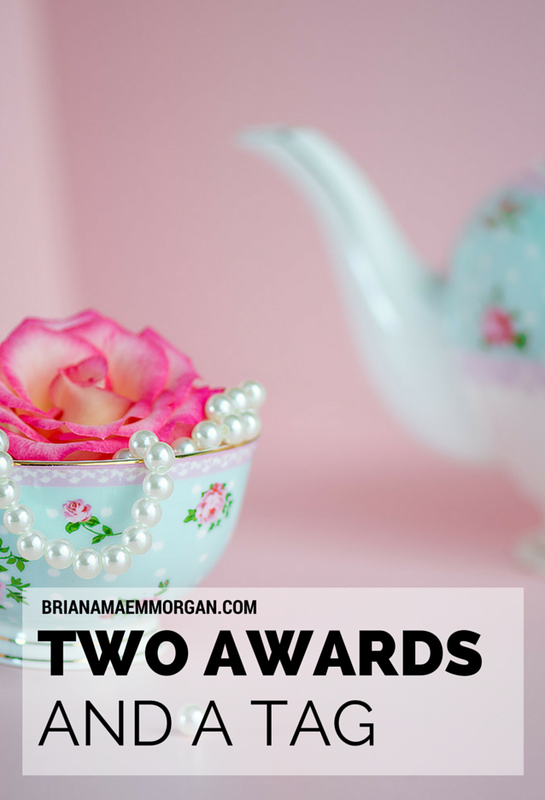 With that being said, I was thrilled to be tagged by Alyssa for these two awards and reading tag – I could really use a break. You’ll find my answers to her questions below, as well as a breakdown of the rules for each section. I’m not tagging anyone because I’m a rebel or because I love you all equally and can’t possible choose favorites (you decide which). Enjoy! What First World problem would you solve? FOMO, or Fear of Missing Out. If I could find a way to fix that one, I would do it right away. You have the magical power to create any one drink you want. ANY. Which drink? A drink to give me clear skin and endless energy. Best life hack you’ve learned? I always drink a lot of water before bed so I have to pee in the morning. Usually I have no trouble getting out of bed. Ice cream or cake? Ice cream. Which tribute in the 75th Hunger Games would you sponsor and why? Peeta because I love him waaaay too much. Weapon of choice? A jewel-encrusted sword. Describe your ideal pet dragon. Bubble-gum pink, bright blue eyes, and as deadly as it is beautiful. I just hit 30K in Blood and Water, but I’m still afraid I’ll never finish. I’ve never seen Jurassic Park because I used to have ungodly dinosaur-themed nightmares. I believe in giving art away for free. I don’t know how to ride a bicycle. I spent five weeks in London two summers ago and have been dying to go back ever since. You may tag people if you would like, but it isn’t required. current TBR? I have about a thousand books to beta read, and then I’m reading Sara Gruen’s latest novel. 2. Book (series) you would like to see as a movie? I would KILL for a remake of Nineteen Eighty-Four directed by David Fincher. 3. Overhyped book/author? I’m going to go with Big Little Lies by Liane Moriarty. I LOVED What Alice Forgot, but I had a hard time getting into Big Little Lies. 4. The best book series you will ever read? Probably Harry Potter. Come at me. 5. Book to movie adaption that was really bad? It makes me cringe just thinking about what happened with One Day. The book is amazing. Go read that instead. 6. Last book that made you cry? All of them make me cry, but let’s go with Water for Elephants by Sara Gruen (which I just reread for the thousandth time). 8. A book series that you just didn’t like? The Divergent books. Eep. 9. Book that you haven’t read yet, but really need to? I read the first book in The Raven Cycle, but I really need to go ahead and finish that series. Stievater is great. 10. All-time favourite author? F. Scott Fitzgerald, Oscar Wilde, George Orwell, Daphne du Maurier, and Gillian Flynn. Thanks again to Alyssa for nominating me! If you’re not following her blog, you need to check it out. Feel free to do this challenge if you’d like, but like I said, I’m not nominating anyone for the sake of time. ooh, those are nice dragon colours. Not ones I would pick personally, but absolutely fantastic. I don’t quite agree with the art should be given away for free point, though — I mean, I do post several snippets of my writing on the blog, but I would totally throw money at my favourite authors and artists. And it may sound strange, but I think money is a great way to value the impact you have on other people — if they’re willing to pay $1 for your stuff, that’s a certain level of impact. If they want to pay $100, well, you’re obviously making more impact. Orwell and Gillian Flynn are fantabulous. Seriously, I don’t think I can stop rereading their books.